Facebook intends to defend itself in a privacy lawsuit by arguing that users agreed to allow the company to scan “private” messages in order to determine whether people are sending their friends links to outside sites, the company revealed in recent court papers. “Facebook users expressly consented to the conduct,” the company says in a report filed late last week with U.S. District Court Judge Phyllis Hamilton in Oakland, Calif. The company's statements mark the most recent development in a potential class-action lawsuit alleging that Facebook violates the federal wiretap law and a California privacy law by scanning the private messages that users send to each other through the company's platform. The legal battle dates to late 2013, when Arkansas resident Matthew Campbell and Oregon's Michael Hurley alleged that Facebook interprets links within users' messages to each other as “Likes,” and then includes them in the total number of “Likes” that appear on the publishers' pages via social plug-ins. Those allegations emerged in press reports in 2012, when security researcher Ashkan Soltani (now at the Federal Trade Commission) reported that Facebook interprets links within users' messages to each other as “Likes,” and includes them in like-counters that appear on publishers' pages. Facebook told The Wall Street Journal at the time that no private information is exposed by the practice. Facebook said in earlier proceedings in the case that it stopped counting URLs within messages as “Likes” in October of 2012. Campbell and Hurley also allege that Facebook draws on information within messages in order to increase its “knowledge of the user base,” which the company can draw on for advertising purposes. “'Likes' generated by Facebook’s interception of users’ private messages provide a trove of information that not only informs Facebook’s knowledge of those users’ choices and characteristics but, combined with other users’ data, produces deep and powerful knowledge of the user base as a whole,” they allege. 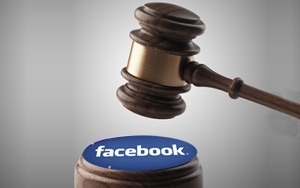 In December, Hamilton rejected Facebook's bid to dismiss the case at an early stage. She ruled that scanning private messages potentially violates the wiretap law, which prohibits companies from intercepting electronic communications without users' consent. Late last week Facebook outlined some of the arguments it will raise in its defense. Among others, the social networking service says it will argue that users consented to its practices by accepting the “data use policy,” which disclosed that it receives data when users send or receive messages. “The people who use Facebook were aware that the URLs in their messages were being processed -- and consented to that processing,” the company contends. Hamilton is slated to hold a conference in the case on Thursday.